The evaporative condenser TOWER is a new generation high efficiency heat exchange equipment research and developed by combining with the geographical environmental conditions and absorbing advanced heat exchange technologies at home and abroad and is characterized by convenient installation,etc.moreover the evaporative condenser TOWER is preferable for the operation under low temperature and dry working conditions in winter. The equipment is provided with imported galvanized plate,entirely hot-dip galvanized coils welded with elliptical steel pipes,special axial flow fans and water pump,in order to ensure operation reliability and service life of the equipment. 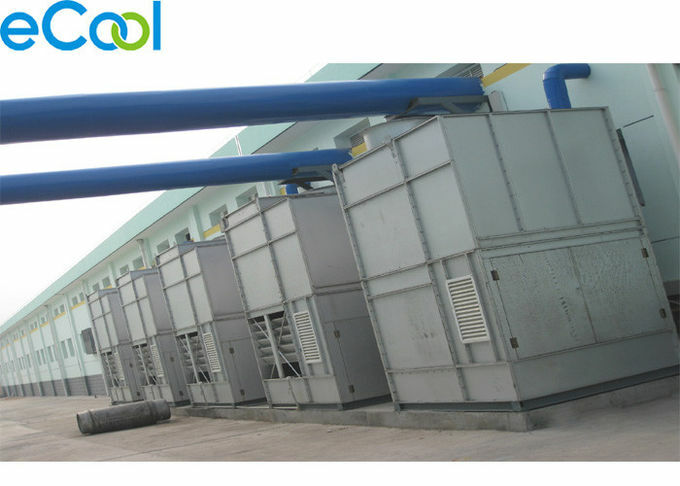 Total heat discharge capacity=refrigerating capacity of all compressors under corresponding working conditions+shaft power of all compressor under corresponding working conditions. Correction heat discharge capacity=total heat discharge capacity X correction factor. Select an evaporative condenser whose capacity is not lower than the correction heat discharge capacity from the technical parameters table. It is preferable to install single upstream structure evaporative condenser to an open roof. If this is impossible,raise the unit or add an exhaust hood at the top so as to ensure that top of the structure is higher than top of surrounding buildings and the sir intake is opposite to the wall surface .if the conditions do not permit and air intake of the evaporative condenser must face to the wall surface ,the distance between the structure and wall surface shall at least be 2m or longer.see figure below and refer to the installation and use manual for details, if the system is to be expanded ,top of the new unit shall be kept at the same height with that of the original unit. 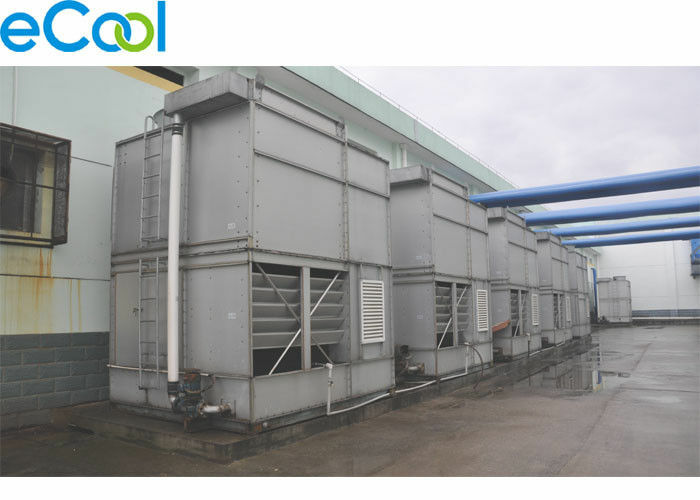 Evaporative condenser requires a space longer than 1m for maintenance,i.e the distance between the condenser and structures,walls or other devices should not be less than 1m,otherwise.it will be inconvenient for regular repair and maintenance of the evaporative condenser.